HEXATRUST, is the major partner of the International Cyber Security Forum – Forum International de la Cybersécurité (FIC) – for the second year in a row. For the FIC’s 11th anniversary, the HEXATRUST cluster has been chosen as the MAJOR PARTNER of this annual event. This renewed collaboration confirms the trust between our companies and one of the most influential event on the European cyber security scene. From January 22th to the 23th, the HEXATRUST networking area (ideal for your coffee breaks), which has doubled in space since last year, will welcome 30 best-of-breed companies in cybersecurity and cloud computing. The Meeting Area will be located at the top of the stairs at the Forum’s entrance. 6CURE, ANTEMETA, ATEMPO, BERTIN IT, CONSCIO TECHNOLOGIES, EGERIE, ERCOM, IDECSI, IDNOMIC, ILEX INTERNATIONAL, INWEBO, ITRUST, KUB CLEANER, NEOWAVE, OLFEO, OODRIVE, HOLISEUM, PRADEO SECURITY SYSTEMS, PRIM’X, PROVE & RUN, ROHDE & SCHWARZ CYBERSECURITY SAS, SECLAB, SENTRYO, STRATON IT, SYNETIS, TELEHOUSE EUROPE, THEGREENBOW, TRUST IN SOFT, VADE SECURE and WALLIX. 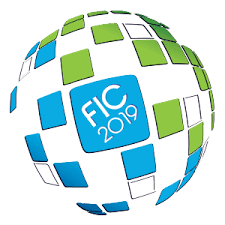 For Jean-Noël de Galzain, President of HEXATRUST who will talk during the opening keynotes, on the 22th : « The 2019 edition of the FIC -Europe Kicks Off !- must be a landmark to the launch of the European Cyber Security Industry ». Our new portfolio will also be avalaible on site.